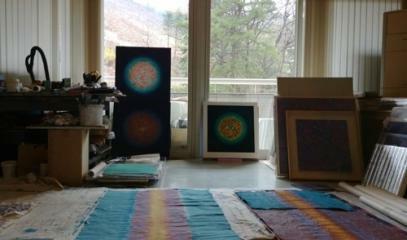 Light, life, love and peace: these are the elements represented in the work in four parts of Bang Hai-ja. Everything is connected in a "virtuous circle". From 1961 in France, she was guided and supported in her artistic career by her parents and her teacher. 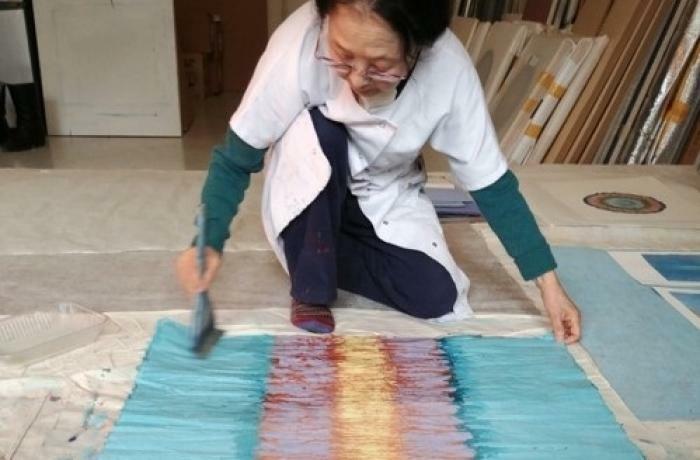 Paris (AsiaNews / Yonhap) - Bang Hai-ja, an 80-year-old South Korean artist, will decorate some windows of Chartres Cathedral, recognized as a UNESCO world heritage site and built in the north-east of France. 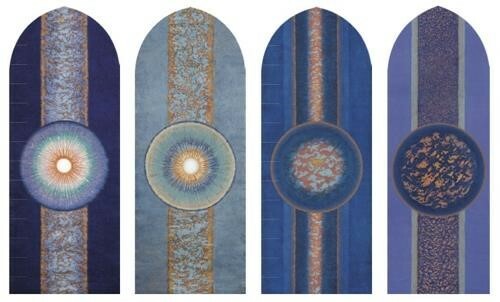 The artist, who has been living and working in the European country for years, says that being commissioned to design the windows is an "indescribable honor". Her four paintings (see photo 2) were chosen for their meaning. 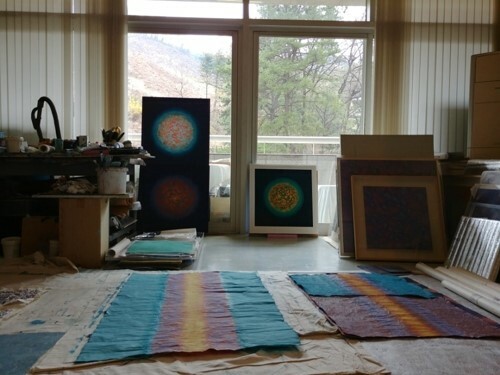 "I explained that [each part] of the four-piece work represents light, life, love and peace," said Bang at the presentation of his works on March 14, at the cathedral. In her vision, there is a "virtuous circle" in which light is life, life is love, and love is in turn peace. 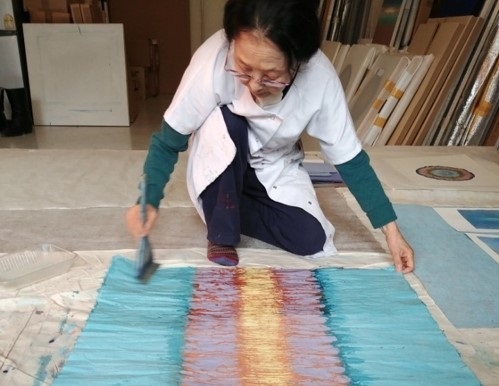 Bang was born in Seoul in 1937, and she was oriented towards her artistic career by an encouraging high school teacher, who said: "Painting is not done with the hand, but with the heart. And this is already part of you ". 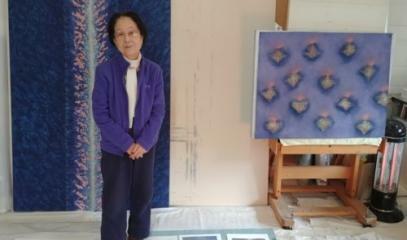 The artist moved to Paris in 1961 with the help and unconditional support of her parents, both teachers and art lovers. 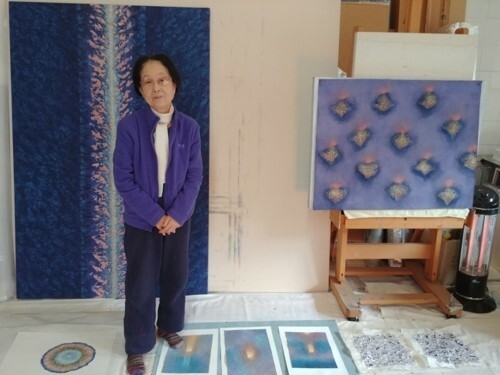 For years, however, the young artist struggled, because of the then huge costs and long times to contact Korea, at the time still afflicted by the consequences of the Korean War (1950-53). Light is the center of her artistic world: a passion that began since childhood, when Bang was forced to spend her days sitting, due to her poor health. The sparkle of light on the stream that ran near her grandparents’ house attracted her. A charm that has grown along with her and that is now reflected in the paintings that will be exhibited in the famous French cathedral. For the artist, this is an opportunity to carry forward her message, according to which all things are connected: "A grain of rice is produced by the work of land, water, light, farmer and wind and so forth. The food, in turn, makes me. Everything and every person you meet in this world adds up to me".